It’s basketball season! Why aren’t you playing more Basketball? It’s cold and you don’t want to go outside? This is the moment sports video games are made for! 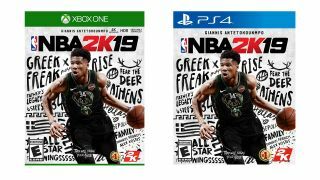 Luckily, it just so happens that NBA 2K19, the newest entry in gaming’s most popular Basketball franchise, is on sale at Amazon for Black Friday. NBA 2K19 is $27 for Black Friday on PS4 and Xbox One. But wait - this is the digital version, so when you get to Amazon you need to select the digital code from the side menu. Then you get 50% off! The advantage here is you get the game right away too. If you’ve been thinking about picking it up, or just need a new sports game, this is good grab. If you’ve played past NBA 2K games, you probably know what to expect from 2K19. All things fans enjoyed over the years return: a story-driven career mode, some crazy create-a-player options, and most importantly, ridiculously life-like renderings of every player. From what we’ve seen, there’s a general consensus among reviewers that 2K19 offers a steady, if incremental, improvement to the series’ distinctive gameplay. If that sounds like something you might be interested in, getting the game at half price seems like a steal.